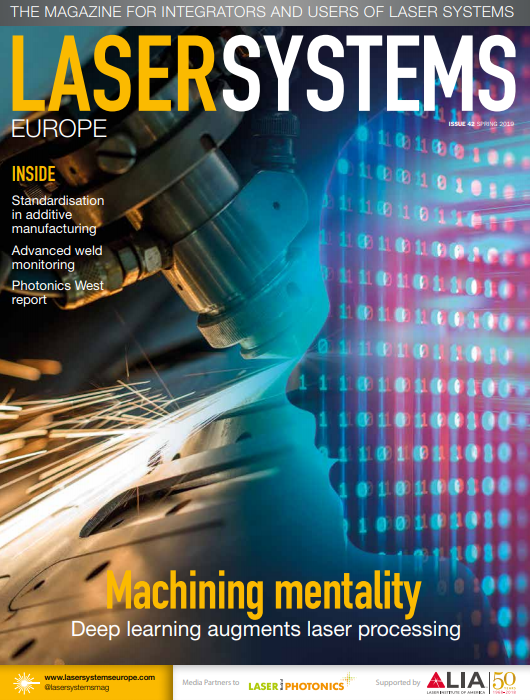 4JET Technologies has introduced the latest generation of its Jetlaser system. The flexible laser system is available in two power levels of 200W and 500W and is optimised for manual use or for integration with a robot (see below). Powered by fibre-coupled, maintenance-free solid-state lasers and integrated into a rugged mobile cabinet, the system addresses a vast range of industrial cleaning operations. Potential applications include cleaning of moulds, tools and fixtures, paint and coating removal operations and pre-treatment of surfaces prior to welding, glueing or coating applications. Download the JETLASER Product Sheet for technical details.